An estimated 30,000 orphaned, abandoned and homeless children were living on the streets of New York City in the mid-1800s. Two charitable institutions – The Children’s Aid Society and The New York Foundling Hospital, operated by the Sisters of Charity – determined to help these children. The aid institutions developed a program under which these city children were “placed out” – sent “out West” in hopes that they would find, at the least, a better chance of leading happy and productive lives, and, at best, new “families” to love them. Between 1854 and 1929, an estimated 200,000 of these orphaned and abandoned children were placed out in what today is known as the Orphan Train Era. The name is derived from the children’s situations, though they were not all orphans, and the mode of transportation – trains --used to move them across 47 states and Canada. The first Kansas-bound orphan train arrived in the state in 1867 and the last in 1930, the same year the Orphan Train movement officially ceased operations. During that time, it is estimated that between 5,000 and 6,000 children were placed in Kansas homes. Some of these children were adopted their new Kansas families, but many were not. 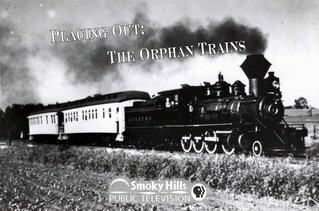 Smoky Hills Public Television examines this period of mass relocation of children in the United States, widely recognized as the beginning of documented foster care in America, in its historical documentary Placing Out: The Orphan Trains. Produced by Smoky Hills Senior Producer Les Kinderknecht, Placing Out: The Orphan Trains combines archival material with interviews with actual orphan train riders, rider descendants and historical consultants. The program is meant to help create awareness of the Orphan Train Era and preserve the history of the movement and those who were a part of it. 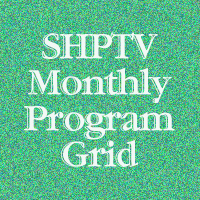 Among those interviewed for the documentary were actual orphan train rider Ann Harrison of Lincoln, Nebraska; Francis Schipper, Hays; Lee Rich Lundy and Doloris Pfeifer Pederson, Russell; Walter Straub and Kevin Lockwood, Great Bend; Sharla Thill, Ellinwood; and Judy Ruffo, Lincoln, Nebraska. Placing Out: The Orphan Trains previewed in September 2007 at the historic Brown Grand Theatre in Concordia, Kansas, in conjunction with the grand opening of the National Orphan Train Museum and Research Center, the 20th Anniversary of the Orphan Train Heritage Society of America and the 100th Anniversary of the Brown Grand. The program is funded in part by the Kansas Humanities Council, a non-profit cultural organization promoting understanding of the history, traditions and ideas that shape our lives and build community.